Were we sad to leave Bordeaux? No. It was pouring down. We drove on the toll roads to San Sebastian which cost an absolute fortune (16 Euros for a 3 hour drive). I really don’t see what all that toll money got put towards that we paid as the road was pretty average and there were weeds and rubbish everywhere. One drama along the way was that we got stuck in a toll booth. The toll booth rejected all of our credit cards (even though they worked for the 2x tolls before this one), so we counted out all of the right change in Euros, chucked it in, then the barrier didn’t go up. Hmmm. So we tried to put some notes in, nope it wouldn’t take those either. We pressed the help button which got answered by a person who’s solution to the problem was to just yell “billet billet” at us 100 times meaning put notes in (no you dummy, the machine won’t take notes), then hang up. Eventually after about 15 minutes and getting hung up on multiple times, a lady came over to help us, saw that the machine wouldn’t take notes, opened up and saw that we had paid the exact right amount in coins, then let us through. As soon as we made it through to Spain, the quality of the roads dramatically improved (being both smoother and cleaner). 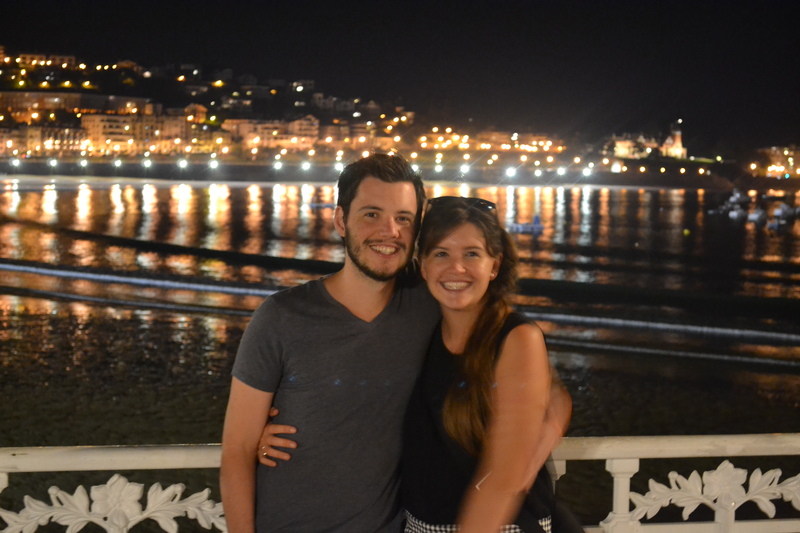 The place we were staying in San Sebastian was a Uni hostel and was alright for what we paid. 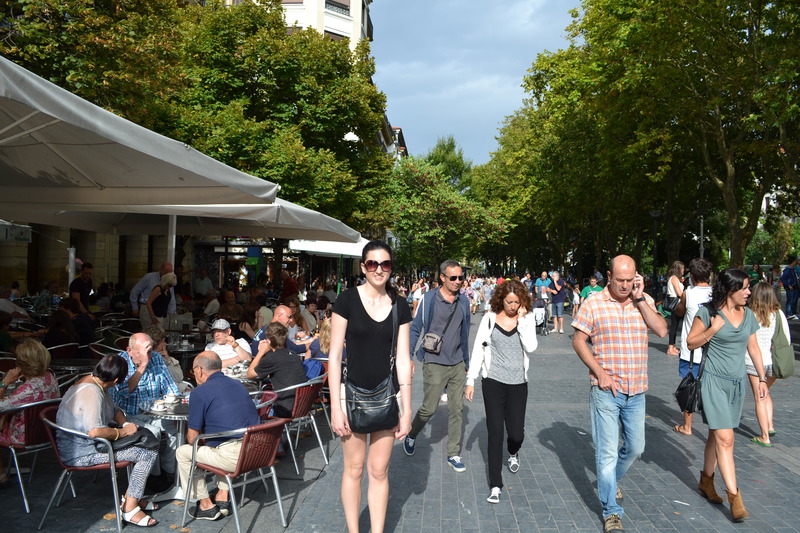 Best thing about it was that it was in a safe neighbourhood, in fact every part of San Sebastian seemed extremely safe, extremely clean and much more relaxed than what we had experienced in France. 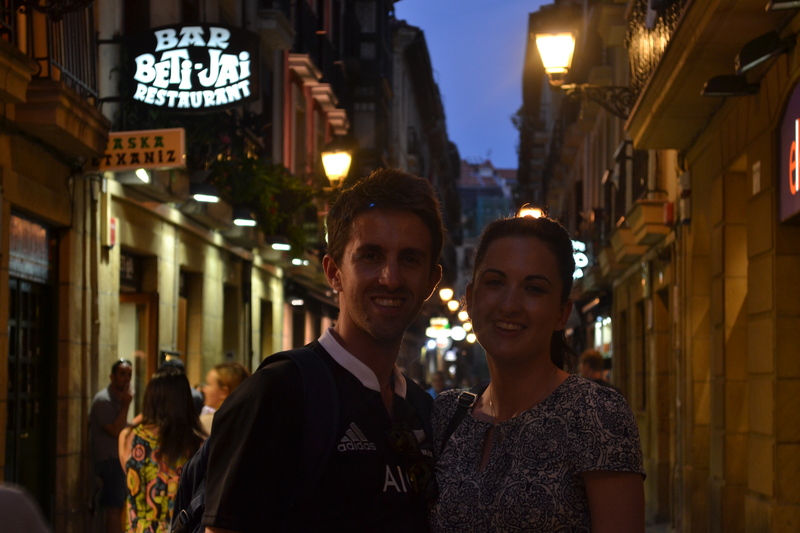 That evening we headed to the old town to have some Pintxos (essentially tapas served on bread) and did what the locals did and bar hopped. My favourite was one with smoked salmon, raw sardine and salsa, so yum, I now see why Dad goes on about sardines so much! 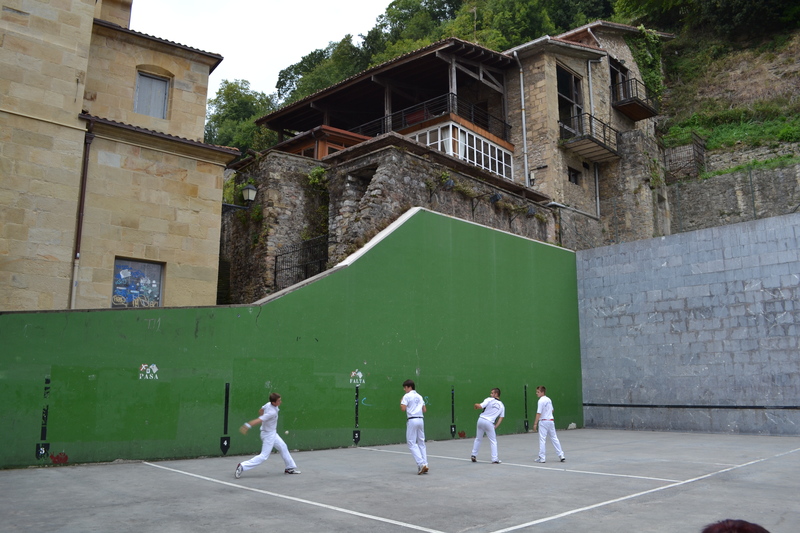 We also saw the locals playing their strange game of squash with a hard ball and without racquets (you just use your hands). Looked and sounded extremely painful. In the morning we awoke to an overcast day which was disappointing, so we decided to get breakfast and eat it down by the beach. By the time we got to the beach, the clouds has disappeared and the day had transformed into the nicest day we have had so far in Europe. So plans changed to going to the beach for the day. 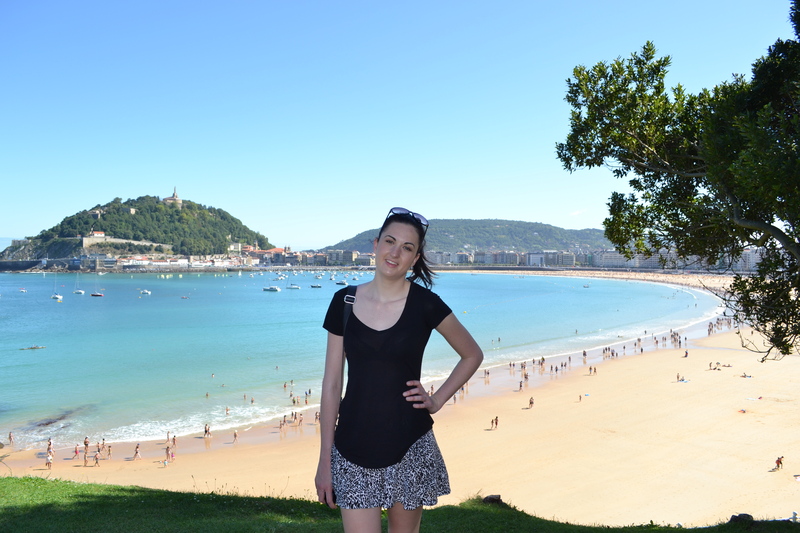 One thing I did feel in San Sebastian was extremely pale. Everyone is cooked beyond belief, with the most leathery, tanned skin. My skin was luminous (the winter in NZ had not helped the matter). Once we got to the beach, we walked around for a while and set our towels up by some other tourists who were just as sun deprived as us. That evening Shaun and Jess arrived so we got to hang out with them at the Pintxos bars for the evening (Shaun is Alex’s mate from high school). They were staying at someones house from AirBnB so their host told them all of the best local places to go and what to order. It was such a fun night catching up with them. We even got a couples photo since we could trust them with the camera haha. 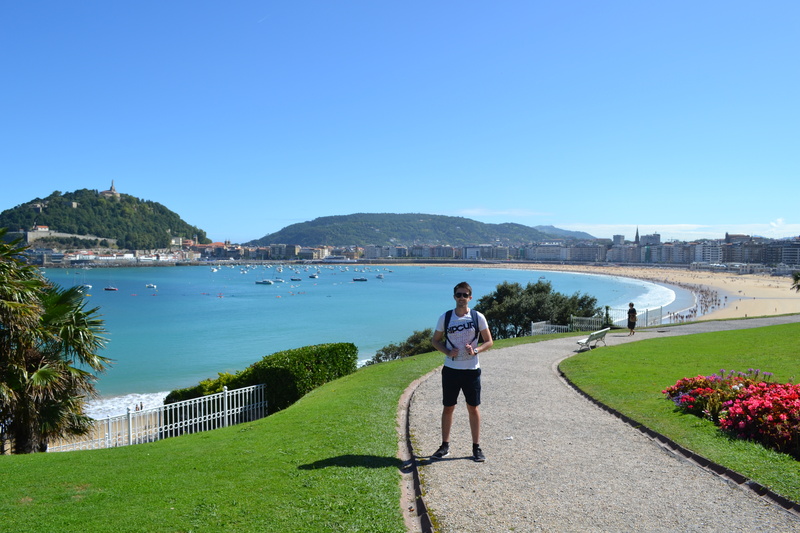 I was definitely sad for our San Sebastian stay to come to an end. It was such a beautiful place where you could chill out, however, I was excited to move on and see the next thing.